According to a recent study of the Synergy Research Group, AWS (Amazon Web Services) still dominates the highly competitive public cloud services market with around 40 percent. In 2016, global players such as Microsoft, Google and IBM were able to gain ground at the expense of smaller vendors. 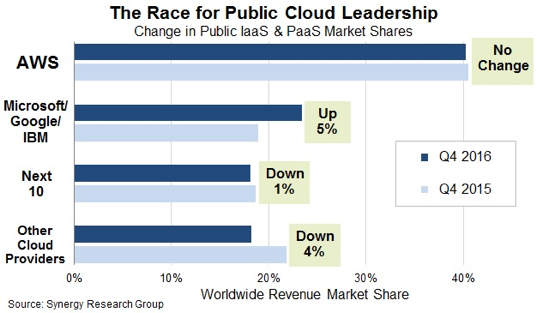 The three companies gained 5 percent in comparison to the previous year and together hold a market share of around 23 percent of the worldwide Infrastructure-as-a-Services (IaaS) and Platform-as-a-Service-Market (PaaS). After the four market leaders, the field becomes much clearer as the next ten vendors, amongst them also Oracle and the Chinese Alibaba, remain below 20 percent. Market Research Institute Forrester came to quite a similar conclusion. It lists as decisive success criteria of service providers: infrastructure, analysis and migration services as well as tools.  There are in particular four key elements, which set the leading service providers apart: the breadth of the infrastructure services offer; the scope of the analytical aplications; the services and tools that allow data and applications to migrate into the public cloud and quality of the tools available for the development and provision of applications. 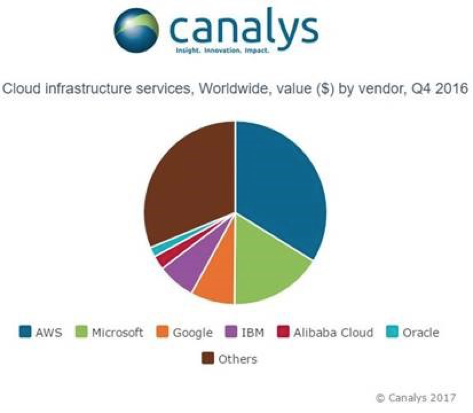 The independent analyst Canalys concludes that the worldwide IaaS market showed a growth of around 49 percent in 2016 and reached a monetary value of US$ 10.3 billion in Q4. Here AWS leads the field with a global market share of 34 percent. It is closely followed by the three main challengers Microsoft, Google and IBM, who together were able to acquire a market share of around 31 percent. And on the heels of the leading four service providers are Alibaba and Oracle, who generated around two percent of the total amount. Canalys forecasts a plus of around US$ 56 billion of the worldwide IaaS market in 2017, which represents a growth of 46 percent against the total value of around US$ 38 billion in 2016. The continued demand for IaaS resulted in an expansion of cloud data centres by most large service providers in the fourth quarter of 2016. In 2016 AWS launched worldwide eleven new availability zones, four of those in the last quarter in Canada and Great Britain. IBM also built a new data centre in Great Britain and has now 50 cloud data centres worldwide. Microsoft also strengthened its cloud capacity in Western Europe with new facilities in Great Britain and Germany. Google and Oracle focused their expansion in the Asia-Pacific region and set up its first facilities in Japan and China. In 2016 Alibaba underlined its presence outside Chia with four new data centres in Australia, Japan, Germany and the United Arab Emirates.